Please note that once you are on a pitch you may stay on that pitch as long as required, you may extend your stay as you wish. There is a discount if you check in per week or an extra discount if you check in per month or season. Unfortunately we DO NOT accept advance reservations or bookings. Generally we have spaces at most times during the year, with the exception of Easter and Bank Holidays when we are normally full. If arriving on these dates we would suggest that you contact us on the day of arrival to check for current availability and arrange to be at the park for around 12:00 as tourers are leaving the park! If you are arriving out with these dates you may still contact us if you wish! We regret that it is not possible to guarantee allocation of a specific pitch. You are allocated your pitch on arrival. Entry to your pitch is anytime from 12:00 - 20:00 and they must be vacated before 12:00 on day of departure. Pets are permitted in the Touring area; however they are not permitted in the Tents, even if only with visitors. When you arrive on the park, proceed to the Touring area. 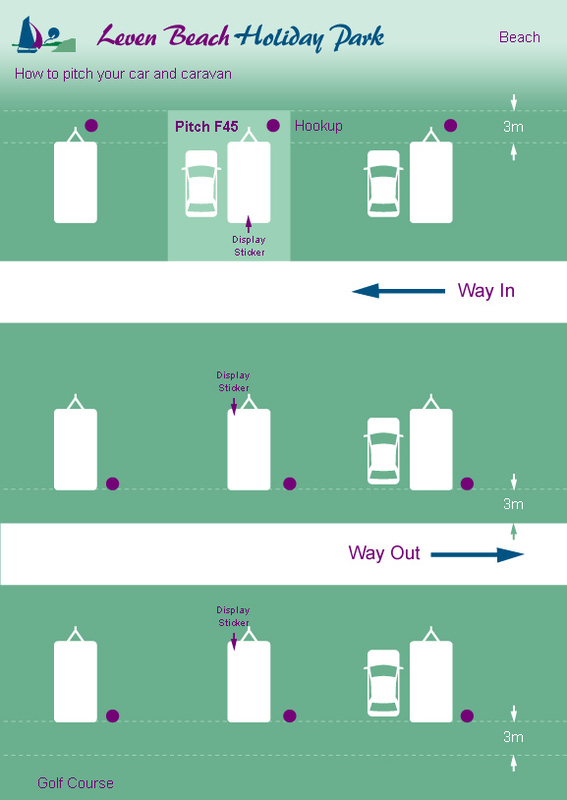 Setup on the best available pitch or set your tent up at the Easterly end of the Touring area. You can then either call in at the reception to pay for the pitch and toilet access key, or wait until the touring warden calls at you pitch. All prices shown are per Pitch, additional charges apply to all other park goods and services. 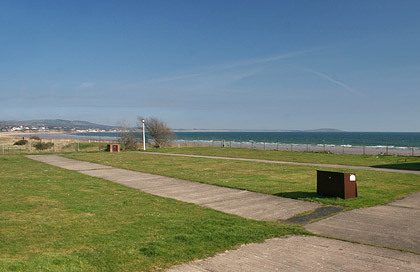 Leven Beach Holiday Park is situated on the beautiful coastline of Fife, overlooking three kilometres of golden sands at Largo Bay and South across the Firth of Forth. Our excellent location makes Leven Beach Holiday Park an ideal base to explore the unique 'Kingdom of Fife' with its miles of coastal walks, ancient castles and picturesque villages, or participate in the wealth of outdoor leisure facilities in the surrounding area. Got a question? Check out our page with Frequently Asked Questions.